And so it happens again, this time in Happy Valley. A clearly troubled young man reportedly gets into an argument with a young woman at a bar and restaurant. A father and his 19-year old son, visiting from Ohio on business, may have made an attempt to intervene. Suddenly the young woman and the two Ohioans are shot in the bar. A short while later, as the gunman attempted to flee, he breaks into the home of an elderly couple. 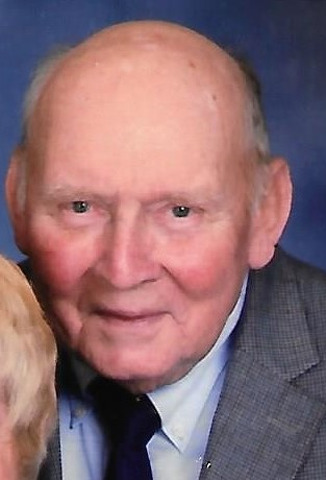 While his wife of 60 years huddled in the bathroom calling 911, the husband is murdered and the gunman kills himself in their home. When all is said and done, four people are dead, including the shooter, and at the time of publication, a young woman fights for her life in a trauma hospital. This time it wasn’t Chicago or Orlando or Las Vegas. It was in our quiet little ‘burg, two miles from Penn State’s campus. It happened in our sleepy college town, nestled in the center of Pennsylvania. The immediate reactions were varied. The police made it to the bar in less than two minutes, then were called to the scene of the shooter’s vehicle crash after he fled. The next call came after the gunman shot his way through a glass door and into what appears to have been a randomly-selected house in a community of mostly retired folks. The news hit the internet. Statements to the media. Press conferences. Some were erroneously sharing that the elderly victim was a local pediatrician by the same name. Students were angry that they weren’t informed about the possible danger with the university’s alert system, given the student housing in close proximity to both crime scenes. Local and regional news began digging into the gunman’s history to try to find the answers to the obvious question. Why? Many of us held our loved ones just a little closer this weekend. Suddenly, our little town doesn’t feel as sleepy or as safe. In the immediate days after learning that, in addition to those taken down at the bar, 83-year-old George McCormick was shot in his home on the 60th anniversary of his marriage to his wife, Joann, the reaction was one of shock. How can it happen here? A young woman fighting for her life. A father and son, spending time together traveling for family business, trying to do the right thing. A retired couple who raised their three now adult children in State College, who serve the community and their church, and who live their faith, their house picked at random. The shattered glass from a gunshot, shattering lives. A young man who had apparently lost hope. This time, the victims are people we know or who are connected to people we know. The cousin of someone we know. Someone who attended our same school. Someone with whom we did business. Someone from our church. I didn’t know the shooter or his family. I don’t know Nicole Abrino, who remains hospitalized. I didn’t know the Beachys from Ohio and I never met Mr. McCormick. I did however go to high school with the McCormick sons. Tim, who because our last names started with Mc, was in my homeroom and sat next to me at high school graduation. Bryan worked with me when he was in college and has been a professional colleague and friend for the past 35 years. When the family released a statement to their friends and network on Facebook, I have to admit, it brought me to tears. Someone asked if I was going to write about the tragedy for this week’s column. At first I wasn’t sure. As I used to tell my kids, always ask yourself, “Is this your story to tell? Then, at the viewing yesterday, as family and friends gathered to celebrate George McCormick’s life, younger sister Kristine McCormick Vahey gave me permission to share their family statement. They want the families to know. To quote another high school classmate, this touching and moving statement from the McCormicks can only be described in one word: grace. In a culture where hate and revenge and taking sides and getting even has become the norm, their statement of concern for the others in this tragedy — including the shooter’s family — is a testament of love. It is a testament of honor to their father and mother in a time of unimaginable grief and unfathomable loss. It is a testament of faith and of the good that is in this world. As they work to help their mother, mother-in-law, grandmother and great-grandmother move forward, each grieving and trying to make sense of that which makes no sense, their words can and should inspire all of us. Life is short and we never know what we have beyond right now. Hug those close to you. Forgive your enemies. Show others grace and compassion. Perhaps by sharing our love, we may give others — and ourselves — hope. 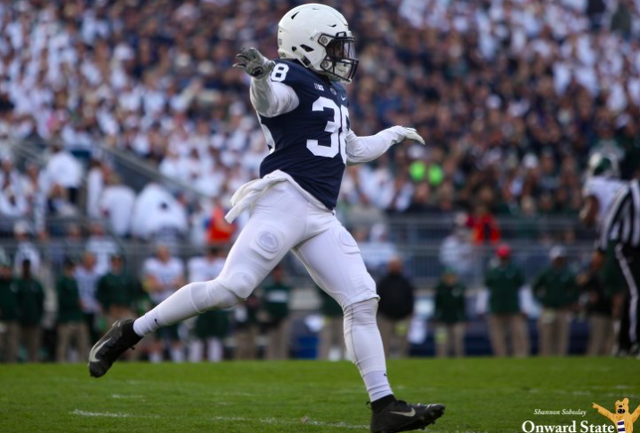 Penn State safety Lamont Wade will return to the Lasch Building and no longer seek transfer, he announced on Twitter late Sunday night. Wade had entered the transfer portal, weighing his options to continue his career elsewhere.